MTC’s Indigenous Scholarship Program offers eight participants a unique window into the world of professional theatre. 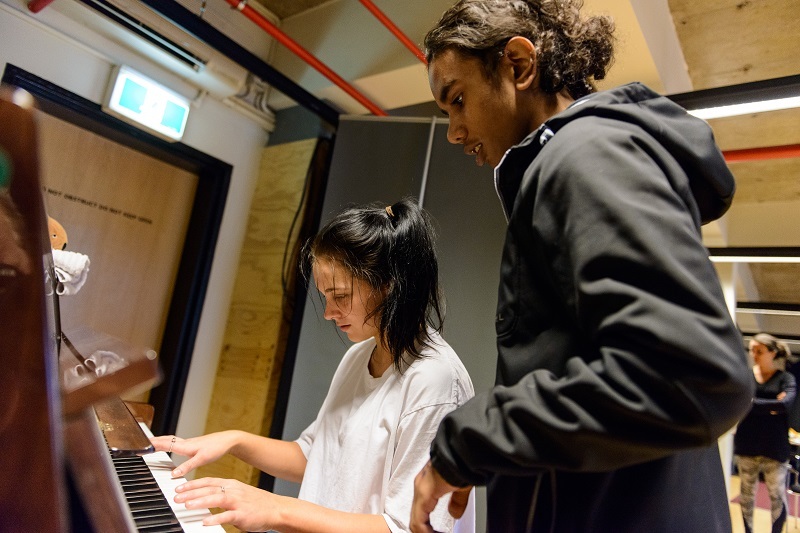 MTC’s Indigenous Scholarship Program offers insights into the vast array of career pathways within the performing arts sector, and connects young First Nations’ people with key contacts in the industry as they embark on their careers. Participants hail from the far-flung stretches of Australia; the East and West Kimberley, Queensland, rural towns across Victoria including Swan Hill, Shepparton, Traralgon and Cape Woolamai, and from across Melbourne’s metropolitan suburbs. They meet for four week-long intensive workshops at MTC in their school holidays over the course of the program. Their interests and passions are as diverse as their geographical home bases; however, they all share one common love – performing arts. Indigenous artists and mentors Sermsah Bin Saad (Suri) and Lenka Vanderboom are working closely with the group, sharing their understanding of life as working artists. Sermsah is Nyikina and Lenka is a Yawuru descendant from Broome. Together they have used performance and facilitation as Cultural liaisons to connect First Nations’ people to their wider community. They initially came together in 2005 through a project studying resilience within the Ardyaloon Aboriginal Community on the Dampier Peninsula. Sermsah and Lenka became members of Melbourne Playback Theatre Company in 2013 as actors and facilitators. With the program’s first week completed and its second week currently underway, Lenka says it’s important that the group continue their acknowledgement of Country throughout the learning process. The group of eight students were welcomed to MTC in March with a traditional smoking ceremony conducted by Boon Wurrung Senior Elder Arweet Carolyn Briggs and her grandson Jaeden Williams – a powerful and inclusive experience for participants and MTC Staff that acknowledged the traditional owners of the lands on which MTC HQ and Southbank Theatre stand. For many of the participants, the program involved an orientation to Melbourne for the first time – a city vastly different to their own communities. 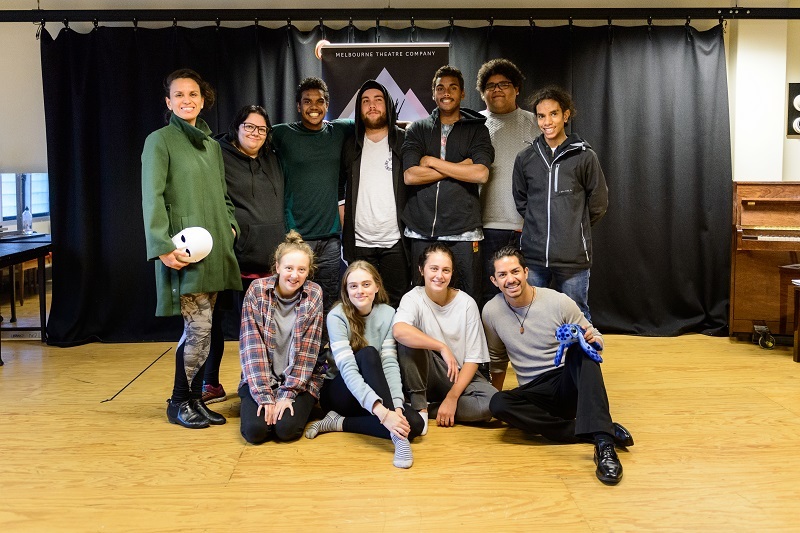 In their first week the group experienced a range of performances including Faith Healer, Lord of the Flies, a Melbourne International Comedy Festival show and a rehearsal performance of Ilbijerri Theatre’s Corranderk. 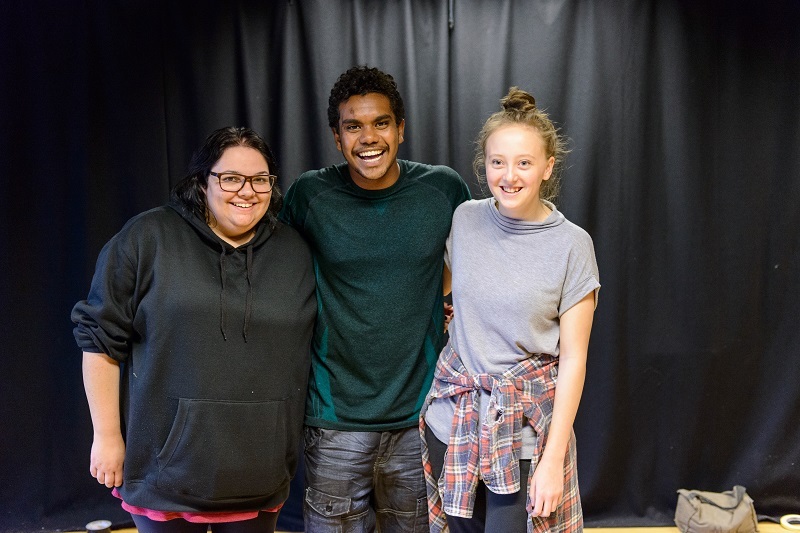 They participated in a comedy workshop with Sean Choolburra and Shiralee Hood, a writing workshop with Tammy Anderson, and visited the Bunjilaka Exhibition, Victoria College of the Arts and ACMI. Participant Jacinta Keefe said that after week one, her perception of a career in theatre had been blown wide-open. ‘I want to do everything,’ she said. ‘Production, design, costuming, props, stage management – all of it.’ As an emerging photographer, Jacinta says she’s thrilled to be in a building filled with so much creativity. For Jacinta, the Indigenous Scholarship Program is an excellent opportunity to learn more about her Aboriginality and connect with people with the same passion for performance. Travelling all the way from Derby, in one of Australia’s most remote regions, the Kimberley, Josh Marshall has a very specific goal for when he graduates High School at the end of this year. That is to go to Drama School at the Western Australian Academy of Performing Arts (WAAPA) and study acting. Generously supported by the Crown Resorts and Packer Family Foundations, in partnership with the Wilin Centre for Indigenous Arts and Cultural Development at the Victorian College of the Arts.